When your expat friends, who are Hua Hin locals, say Let’s Sea Resort is probably the best they have seen in a part of Thailand that has literally hundreds of hotels and resorts to choose from, you take that nod seriously. We tested the assertion and were genuinely delighted with the experience. Lets Sea is privately owned by three Thai business people, who wanted to create a sophisticated and personalised approach to resort stays. From the very first impression, this vision is realised with the design of the building flowing architecturally in a linear way, a low rise, striking building designed in keeping with the natural environment and Hua Hin’s roots as a fishing village. The open-air entrance is immensely appealing on a hot and humid day. There is something charming about open-air receptions with the fans creating a soothing breeze along with cold hand towels, a drink on arrival and the warm and generous service. We felt ourselves immediately unwind from our hectic life back in Sydney. Hua Hin was once a quiet, sleepy fishing village and Lets Sea’s atmosphere and design have beautifully preserved its origins. Now a thriving expat city, Hua Hin, on the Gulf of Thailand and only 3 hours south of Bangkok by car, has the benefits of a metropolitan city without the over development that its west coast sisterPhuket on the Andaman sea has experienced. Hua Hin is beautiful and cosmopolitan, where many of the locals escape for long weekends from manic Bangkok. 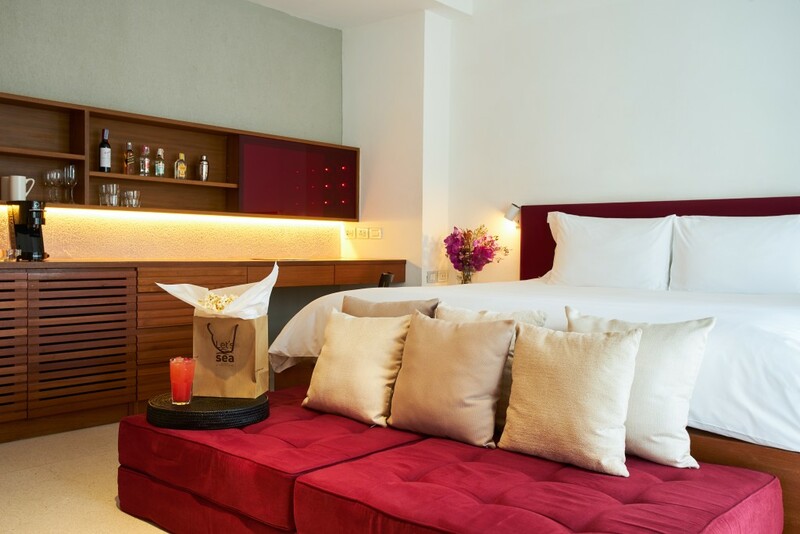 The resort is boutique with only 40 spacious rooms to choose from. The two options are a water access suite to a spectacular 120 metre pool or for the even more romantically inclined, the jacuzzi rooftop terrace suites) Given it was my husband and my first trip away for a while child-free, the fact that the hotel is designed for couples and adults only, held enough appeal, what a treat. 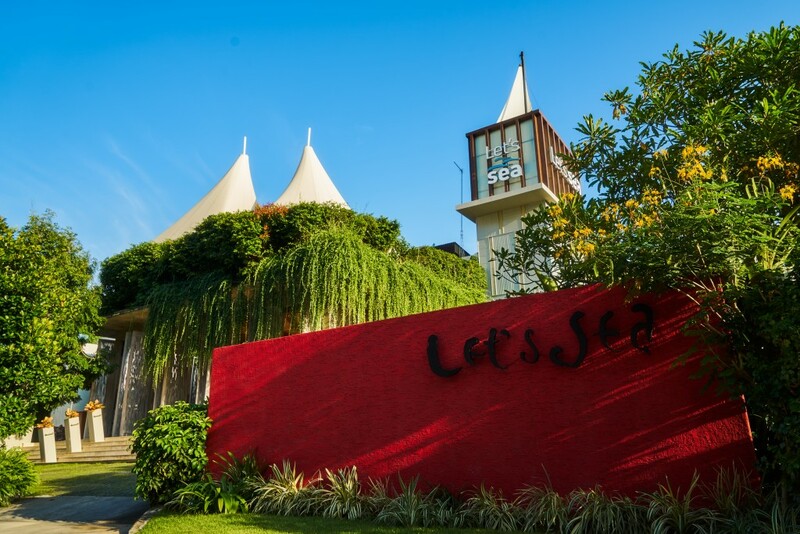 Let’s Sea was a beachside bistro originally and its success enabled the owners to build the resort. The restaurant opened 15 years ago to accolades for its innovative menu, the use of local and seasonal produce, long before that became an expectation for the discerning traveller. We love an al a carte breakfast menu, and especially a glass of French champagne to start the breakfast. I enjoyed a Thai style breakfast with a delicious pork in tamarind sauce, boiled egg and crusty French-style bread. The restaurant overlooks the ocean and at high tide, feels like you are literally walking on water. 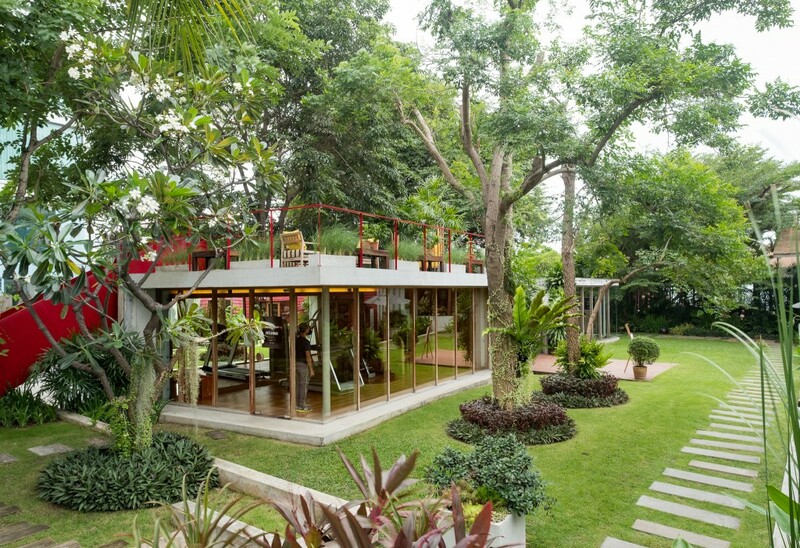 Gaia Spa was a personal highlight designed in an open garden but with privacy. The massage oils, formulated by local aromachologists, are organic and hypoallergenic. Other features include cooking classes, yoga and a well-equipped gymnasium. 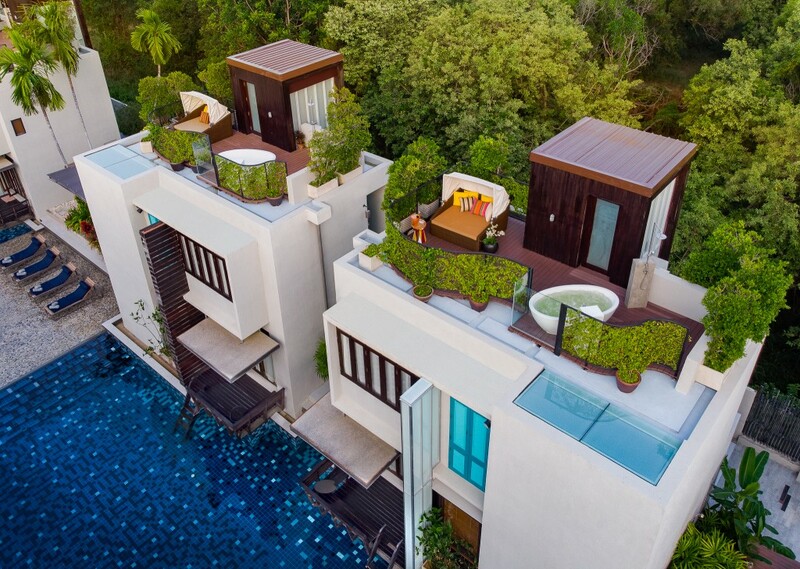 The symmetry of the design, the beautiful location and luxurious surrounds, is the perfect place to get away. It’s quiet and serene being a small resort catering to adults (The owners now have a neighbouring resort that caters to families). Cicada Weekend Market is a relatively new destination in Hua Hin and is located close to the hotel. The market opens 5p.m. –11p.m. and is a great place to shop for local souvenirs. The market has a lively, contemporary, arts and crafts feel and we enjoyed some live music by some very talented local musicians. 83/188 Nong Kae, Hua Hin District, Prachuap Khiri Khan 77110, Thailand.